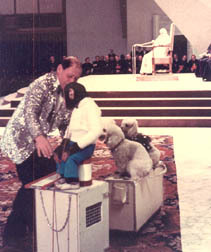 Above, John Paul II receives a kiss from a Canadian circus performer at the Vatican on November 10, 2004. 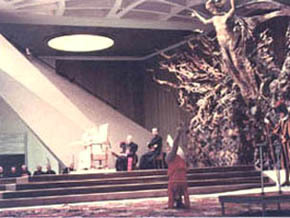 A new attempt to diminish the seriousness of the Papacy. 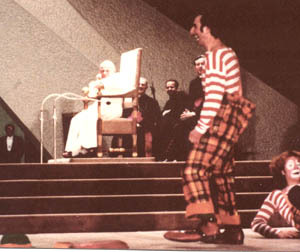 Below, first row, two immoral circus performances for the Pope at the Vatican on different occasions. 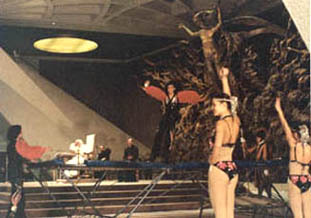 Second row, clowns and other artists transform the See of Peter into a circus.